For me cosplaying is passion. One of the best things happened in my life. I’m still new in this hobby, and I hope I will improve my skills soon. One of the purposes to start cosplaying was to hide behind other personalities, to feel and live like them. And let me tell you one thing, this feeling is amazing. Cosplaying also opens you to the world and other countries. You discover new things, and finally you make lots of friends. I’m interested also in computers and video games. 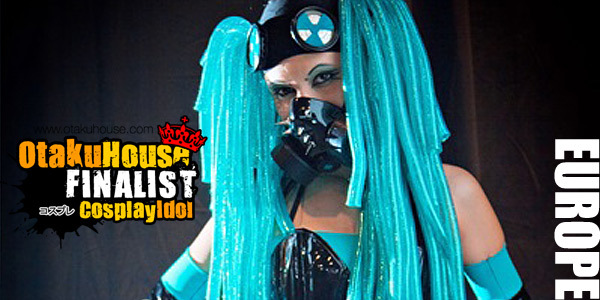 I love all kinds of music and my second passion is Industrial dance! I want to say “THANK YOU” to everyone who voted for me! 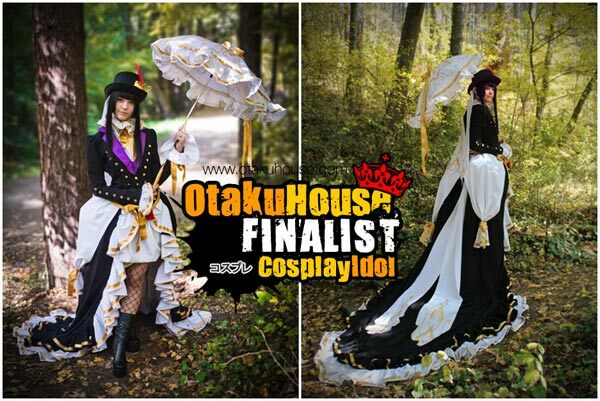 This is my first international online competition and I just can’t believe that I’m one of the finalists. One of my dreams came true! 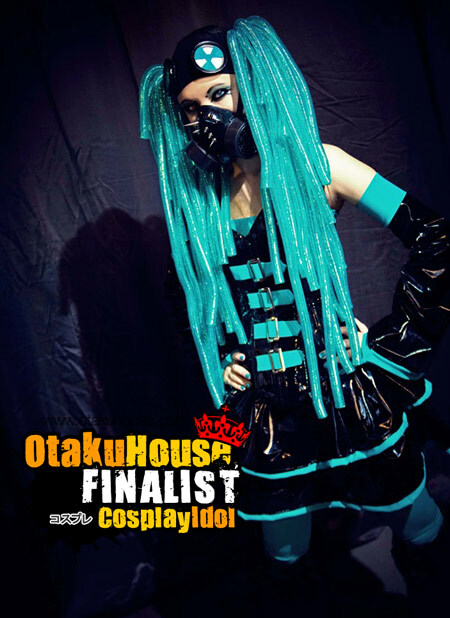 Description: This cosplay was really easy to make, but the performance was harder. I wanted to catch the vocaloid spirit, so I made dance mix with different music and dances. I know that it’s not normal style for Miku, but I saw different sorts of cosplay and decided to make something close to my personality and combine it with my favorite Vocaloid! Photo: Thanks to my dear friend Andrey Spiridonov!!! 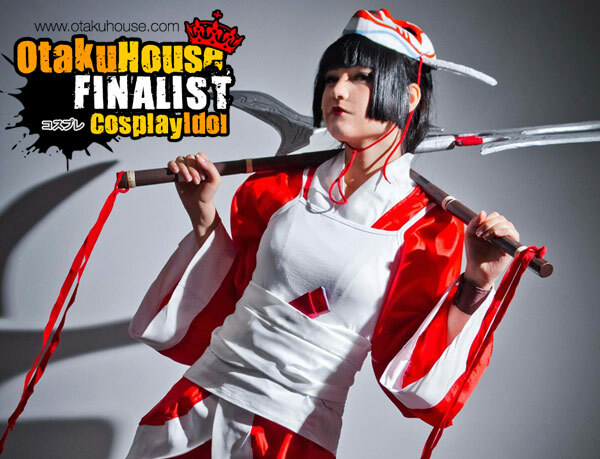 Description: As with the 1st, my main goal with this cosplay was to perform her like true plastic ninja more than picking hard, but stiff cosplay character. I spend one more week just to learn how to use those weapons. Cosplaying characters like her is really cool, cuz you learn new things. Not only moves, but crafts too. I craft everything and used random things, but I think its ok for first try crafting new type of items. Hope you like this costume even it’s kind of simple. Photo: Thanks to my dear friend Andrey Spiridonov! Description: This is my favorite anime! I really love everything about it. I know that I don’t look like Yuuko, but I just couldn’t stop myself and made this dress. It took me about 3 months. It wasn’t easy to make, and to wear it. I actually decided to use fabrics, typical for the Victorian time, and now I know how those ladies felt with these long, beautiful costumes . And yeah, there are hand painted things that took me soo long. But now I love this costume. Hope you will like it too!